It’s official. The HP TouchPad will be available for purchase on July 1st. Prices start at $499 for the 16GB model and the 32GB will run $599. Both are WiFi only models. Pre-orders start beginning on June 19th. The release date is for US availability. Other countries including UK, Ireland, France and Germany will follow a few days later. The HP TouchPad release in Canada will be a mid-July. A 3G model for AT&T will be available later this summer. Full press release available after the break. It’s not exactly what you’d expect from a SanDisk booth at Computex. Poll: Are you buying the HP TouchPad? HP has said it’s coming this summer and it might arrive by June 12th. So, we ask you, are you buying the HP TouchPad? 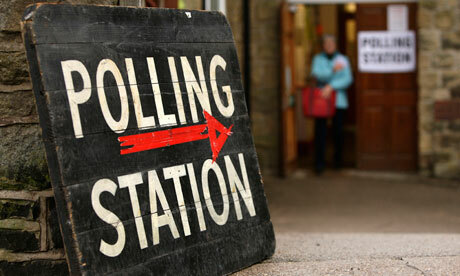 Vote now in the poll and feel free to use the comments for the reasoning behind your vote. 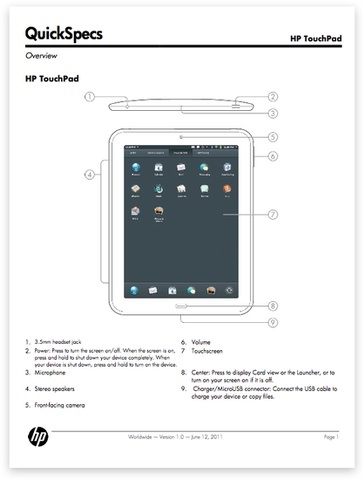 HP TouchPad QuickSpecs Leak, June 12th Launch Date? An apparent document titled “QuickSpecs” has found it’s way to the Interwebs. While the document itself doesn’t offer any new product information, it does include a version date. Now HP likely put this information sheet together to begin sales to enterprise customers, which sounds logical. 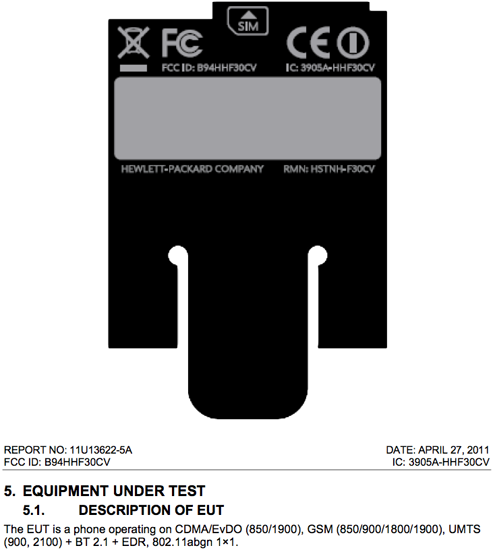 To us, we interpret this document to read, “The first HP TouchPad will be released worldwide on June 12th”. Wishful thinking or could this really be happening in less than 2 weeks? The HP TouchPad might prove to be a formidable competitor in the soon to be very crowded tablet space. HP’s Eric Candor, the company’s Senior Vice President in Europe, has made some bold predictions ahead of the TouchPad launch. There is a fine line between bold and crazy. This quote falls directly in the Roger McNamee category. Outside of “this summer”, we don’t have a firm release date for the HP Touchpad. Rumors of June continue to perculate and now it appears that Best Buy is preparing for the launch. A splash page, complete with specs and introduction video is now readily accessible on their site. Still no way to buy yet, but one would think it’s got to be coming soon. Soon as in the next few weeks? The GSM Pre 3 already passed through the FCC and now comes a CDMA + GSM variant, which paves the way for the release of a world phone capable Pre 3. 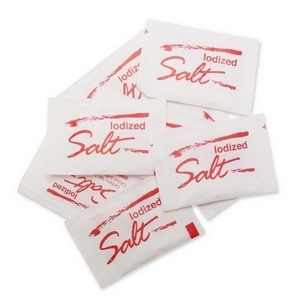 FCC materials describe this as supporting CDMA + FCC. That of course narrows down the release of the HP 3 being on either Verizon, Sprint or both. Our gut says it’ll be an exclusive with one carrier. This is a tough spot for Palm. Verizon is clearly the larger carrier, but so many webOS enthusiasts are Sprint customers. Both the Pre 3 and Touchpad are scheduled for a summer release. Summer officially starts on June 21st. HP TouchPad Available in April? This seems like wishful thinking, but DigiTimes expects HP to start sales of the TouchPad in early April, with shipments expected by the end of March. Their track record is spotty to say the least. This seems highly unlikely and even less substance to DigiTimes reporting than usual. The cite sources from HP’s upstream component suppliers. Don’t get excited just yet folks. What do you think? Let us know in our HP Touchpad forums. The third product announced today was the inevitable tablet from HP, which will called the HP TouchPad. 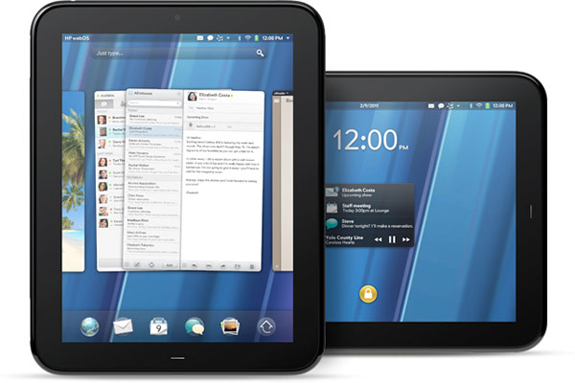 The HP TouchPad is similar, if not exactly, the size of an iPad. It will support Flash, allows for video calls using Skype and comes with QuickOffice. It will also allow for using a supported Bluetooth keyboard. It goes without saying, but the HP Touchpad supports multi-tasking. 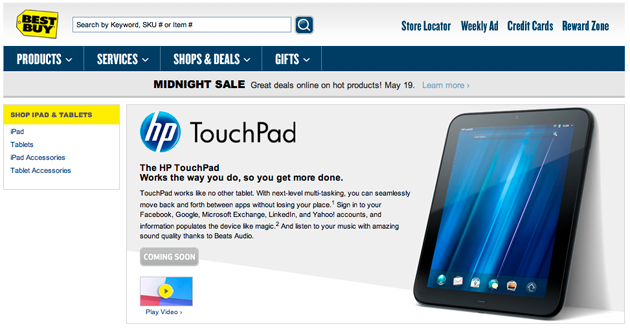 Palm’s website lists the HP TouchPad as having “Planned availability this summer”.